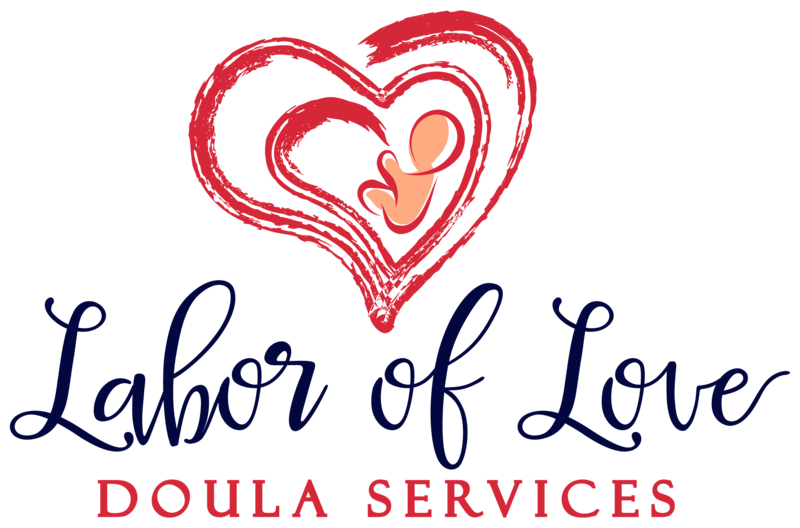 Put love into your labor with childbirth education and doula services that deliver calm, comfort and confidence. You know a natural birth is better for you and baby, but your pain threshold is lower than Death Valley. You’re dizzy with the possibilities — Lamaze, hypno, massage — and you just want to know what will work for YOU. You’ve read everything from Spock to Sears, but you’re still mixing up episiotomy and preeclampsia. You’re terrified of losing control during labor — you do NOT want to turn into a crazy woman. You know complications happen and want to be kept in the loop — you don’t want “SURPRISE!” instructions when you receive your discharge papers. You want your partner to support you, but you know relying on him alone is asking too much. You’re can’t wait to meet your baby, but you just can’t picture your own body pushing him out. Hi, I’m Atara, and I support you through what may be the most daunting, emotional, and transformative experience of your life. I get it. Giving birth is thrilling and terrifying, beautiful and messy. You believe in your body, but you also have no idea what you’re doing. You’ve got your vision of the perfect birth, but you need help getting there. That’s why I’ve created Labor of Love: to inform, educate, and accompany you throughout YOUR unique and magical journey to motherhood. I’m dual-certified as a doula through DONA International and L’Chaim Childbirth Education Services, and I’ve guided over 375 babies into the world. I’m a Birth Bootcamp childbirth educator and a certified midwife assistant to Diane Sellers. I’ve also served as medical assistant to renowned OBGYN, Dr. Deedee Shiller, and am certified in lactation support, spinning babies, rebozo, TENS units, and neonatal resuscitation. I’m constantly updating my knowledge base — bringing you the latest resources and information conventional and natural medicine has to offer — but am also a firm believer of your own intuition and capabilities. I specialize in hospital-based births — and because I thrive in high pressure environments — am especially supportive for high-risk clients. In the event of an emergency, I help you weigh your options carefully but quickly — empowering you to make an informed, rational decision when you feel most emotional and least logical. Over the past seven years, I’ve built strong relationships and enjoy a fantastic rapport with over 30 doctors, nurses, chiropractors, midwives, acupuncturists, lactation consultants, and pelvic floor physiotherapists throughout Central Maryland and the metro-DC area. The experts trust me and listen to me, which means your voice will be heard and respected. I made it to 10 cm -- AND BIRTH -- without an epidural. I was Miss I-want-an-epidural-before-labor-even-starts but Atara helped me achieve my dream of laboring at home a lot longer that I even thought possible. I labored at home till transition. I made it to 10 cm without an epidural. And I can confidently say that it was ALL Atara. She was beyond amazing. Atara’s is what got me through transition. Atara’s exceptional massage techniques and coaching got me through my really intense transition and pushing phases. She expertly showed my husband ways to contribute to my labor support, and stayed after delivery to ensure my baby had latched properly. Couldn’t have done it without her! Atara has EVERY trick up her sleeve to progress labor. Atara was so supportive, strong, and understanding. She thought of every possible idea to progress my labor — pressure points, energy healing, positioning…I can go on! It amazed me how she stayed full of energy and support through the WHOLE labor. Atara knew how to help us AND to give us space when needed. She coached me through the hardest parts and used every trick up her sleeve to help me deliver naturally. We pulled through challenges because of Atara’s skill. Atara’s caring professionalism and insight supported the vision my husband and I had for our birth. When we encountered challenging moments in labor, Atara’s strength and skill in working with the rest of the birthing team — along with her sense of humor — helped us through. Throughout, Atara responded to our questions large and small with unrelenting support, and her resources that were so helpful. We loved working with her and would highly recommend! Atara made me feel empowered and confident. Atara gave me what I wanted and then some. She listened, heard me, and advocated for my labor to go the way I wanted it to. She gave honest, no-nonsense explanations of what my doctors and nurses said (and the nurses LOVED her because she understands how hospitals run and was able to jump in and help me and them), and there was never any question that ultimately it was up to me. She made me feel empowered and confident. Her massage techniques eased my pain, helped me relax and focus, and helped labor progress. She also kept me constantly moving — she had SO many ideas for labor positions AND she supported my husband. She communicated with him so that they would take turns supporting me, kept him in the loop, reminded him to eat, etc. I would hire Atara again in an instant and I can’t recommend her highly enough. These mothers had empowering births. You deserve one too. Give me an incredible birth! Women who attend prenatal classes are 20% less likely to deliver via cesarean surgery. You can learn ONE method, or you can join me for Birth Boot Camp and ease your labor with dozens of techniques and measures to implement before, during, and after birth. We’ll cover the birth process, interventions, nutrition, exercise, relaxation techniques, comfort measures, and more — all tailored for every kind of birth. PLUS: Learn the ins-and-outs of the postpartum period from sibling prep to baby care. I want to take charge of my birth! 41% of women without continuous labor support reported negative feelings about their birth experience. There’s no way to predict just how your birth will play out, but if you take me with you, we’ll navigate challenges with strength and calm — all while maintaining your vision and progressing your labor. You and your partner can relax knowing we’ll find the comfort measures that work for YOU, and that your medical team will stay on YOUR team. 98.5% of babies delivered by midwives recorded an APGAR score of 8 or higher. I’ve actually delivered a baby myself, and my experience and breadth of knowledge mean I can understand if your baby is in distress — just by listening to your labor cues. As a certified midwife assistance with two years of experience, I’ll increase the safety of your birth and take your birthing team up a notch. My midwife needs the best assistant! Childhood maltreatment history appears to be the largest risk factor for meeting PTSD diagnostic criteria in pregnancy — and is a significant predictor for perceiving the childbirth experience as traumatic. The time to address underlying issues that can affect your birth experience is NOW. Whether you’ve been prescribed with bedrest, are haunted by traumatic childhood abuse, or weighed down by a distressing previous delivery, we’ll work together — along with my network of trusted, vetted professionals — and restore you physically, emotionally, and spiritually. Achieve peace, and allow yourself to live this momentous time to the fullest. New mothers are five times more likely to develop postpartum depression if they receive little or no support after birth. There’s no manual for motherhood, but you can ease that learning curve! From diaper changes to dishes, colic to kegels, and hormones to hospital records, there are so many things vying for your already fuzzy brain space, and WAY too many things to get the hang of. But with my help, you CAN enjoy a serene, healing environment and truly treasure each moment. You deserve it — and so does your family. A martyr does not a mother make! While 81.1% of new mothers attempt to breastfeed their babies, only 30.7% make it to the full 12 months recommended by the AAP. It may be natural, but the process can be anything but. Breastfeeding isn’t something that can be easily learned from the books, and the potential challenges are endless, complicated, and often have far-reaching effects. Worst yet, everything needs to be addressed NOW — there’s no time to just get the hang of it while baby screams in hunger (and you cry in pain). Help me feed my baby! The track record. Over 375 moms — a hundred of whom were high risk patients — experienced empowering births with my support. The network. For nearly a decade, I’ve cultivated strong relationships with over 30 expert, birth-related practitioners — from doctors and midwives to acupuncturists and pelvic floor physiotherapists. The knowledge. I spend hours each week reading up on the latest research and developments, so I’m working with a broad base of up-to-date knowledge and expertise in both conventional and alternative medicine and methodology. The badges. I’ve earned over ten certifications spanning prenatal to postpartum care which gives you — and me — a big-picture view of your pregnancy, birth, and beyond. The experience. I have 11 years of medical experience in the field of Obstetrics and Gynecology — as both medical assistant in a renowned OBGYN office and as a private midwife assistant. The personality. Clients love my confidence and humor, but most of all my ability to explain all the nitty gritty in layman’s terms. I need support from someone trusted and experienced! Atara kept me comfortable at home and calm at the hospital. I am so grateful I had Atara at my birth. She helped me labor more comfortably at home — providing massage, warming pads, and helping me change positions. At the hospital, she made sure I was well-taken care of and stayed by my side — coaching me and calming me throughout the birth. 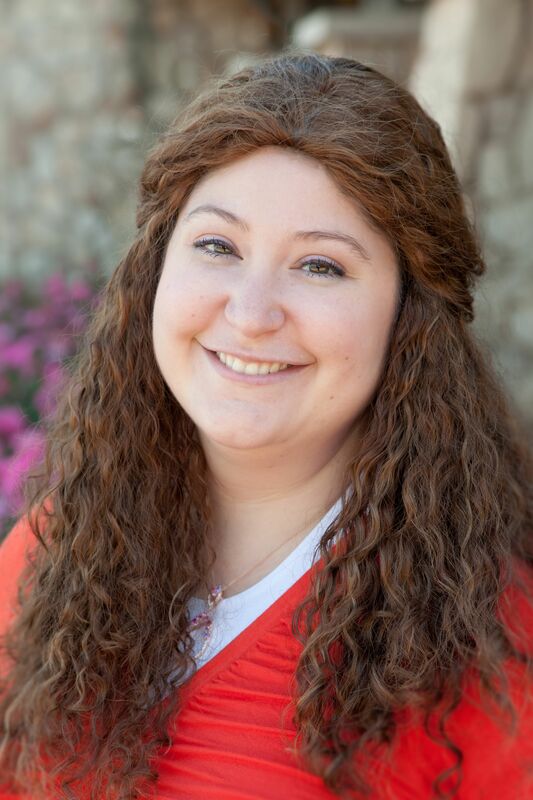 She is professional, well-prepared, and confident — and will transform your birth experience! Let the doctors make all the decisions for you, despite the hours you spent crafting the perfect birth plan. Drive a rift between you and your partner because he’s not magically waving the pain away and there’s no one else to blame. Forget your breathing techniques mid-contraction. Hit a plateau because you just. can’t. do. it. anymore. Try to communicate with your medical team — only to have them eye the clock as they insist they have your best interests in mind. Risk unnecessary interventions that make you wince in agony for weeks, leave your baby with a cone shaped head, and potentially impede your ability to breastfeed. Suffer through an extra 40 minutes of labor that’s already been too long, too lonely, and too painful. Or you can take me with you and deliver with clarity, calm, and comfort.